Staying at The White House ensures you are never far from the activities, whilst having the luxury of our sheltered Oasis. Everything is just a 2 minute flat walk away. Have a look at what's nearby or on when you plan to visit. We're located in the Winterless North so make the most of having the place to yourself and visit in the off season too. - Stroll The Strand, which runs along the waterfront. People watch and cheekily peer through the gate at Pompallier Mission. 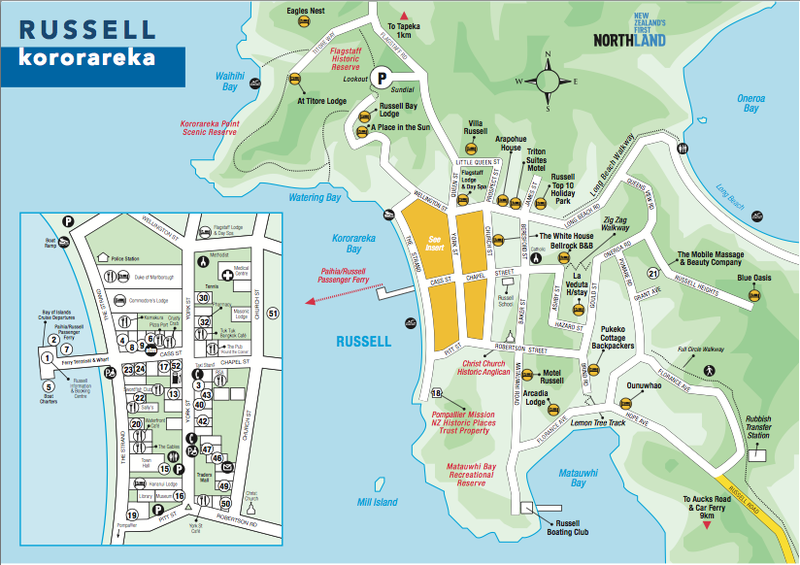 - Take the new walking track from Russell to Okiato, about a two hour walk through oyster farms and pristine native forrest. 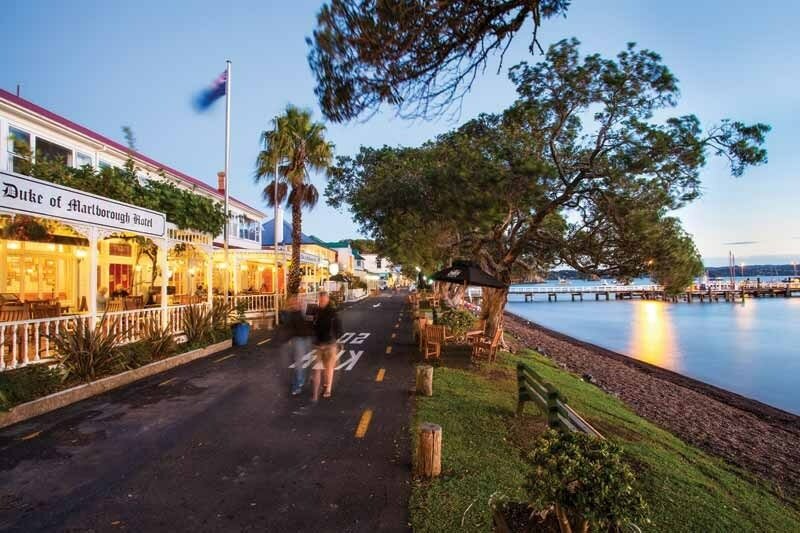 - Walk up to majestic Flagstaff Hill and take in the spectacular 360 degree views over the Bay of Islands. - Tapeka Beach is an excellent spot to take a picnic, especially at sundown. Tables are available on the grass reserve. - Visit the old church. Stick your finger in the bullet hole - a must have photograph. - See the whaling boats in the shed outside the museum & get a photo sitting on the cannon, with the wharf in the background. - Talk to a local - allow an hour. - Book a tour with Colette at the end of the wharf, it’s Free to book at Russell Information Centre. Interested in some local walks? Okiato to Russell walkway - Year round Take in beautiful pristine forrest, the oyster farms, walk the tracks through the mangroves; get the weather right and you cant beat this walk. Take your togs, pack a lunch and be fit enough to walk a day through steep forrest tracks. For the very keen a great day can be had doing the full circle from Russell to Russell via ferries. Doc Walks in the Bay of Islands - The Bay of Islands area features a number of great walks and tracks for people of all abilities. Cape Brett Walkway - If you wish to stay at the Hut you need to contact http://www.doc.govt.nz/ Russell Info can book you and provide you with further info. Cape Brett track begins at Oke Bay in Rawhiti and ends below the lighthouse at the seaward end of the Cape Brett peninsula. The Department of Conservation administers this house. The distance of the track is approximately 16.5 kilometers. At a comfortable pace this track takes 8-hours to complete. It crosses Te Rawhiti 3B2 Trust and DOC land and traverses over reasonably undulating and at times steep terrain up to a maximum height of 345 meters. There is 90% of bush cover, which is mainly secondary growth. The track is well marked and maintained.